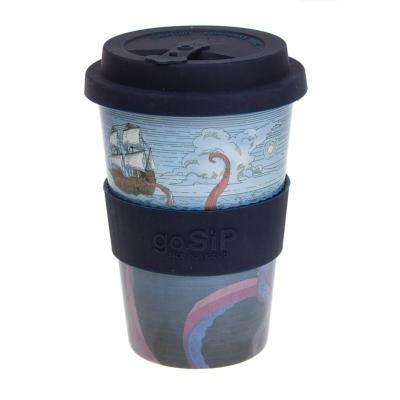 Have your tea, coffee or cold drinks on the go with our travel cup made from natural Rice Husk. Look after it and it will last for years. Join the revolution! Our coffee/tea cups contain no melamine or other plastics and are BPA and toxin free, so nothing nasty to leach into your drink. Light, Durable, Comfortable, Stylish, Strong, Easy to clean (no staining). Unlike all the bamboo cups we are aware of, our rice husk cups are genuinely biodegradable as they do not contain melamine which is a plastic. When you are ready to dispose of this cup, soak it in water overnight, crush and bury it in compost or soil. It will start to biodegrade in soil within six months. Comes in a cardboard gift box which explains product sustainability, advantages over bamboo cups, and final disposal.